I need help here. My laptop has been infected with a malacious virus called ransomware, everything on the lap is encrypted. could you fix it? Sony M4 Xperia Mobile Phone – Been dropped and has vibration damage to the interior, and power is getting/ going/ registering with the mother board, and therefore cannot access the chip. Wish just to recover PHOTOS/ VIDEOS only. Phone has been examined by another company, however charged were very expensive, hence the description above. I have a 1tb G-Tech Thunderbolt/USB 3.0 hard drive. Recently it stopped working as I was using it with Pro Tools and shut down the computer. When I restarted the computer I went into Disk Utility to try and repair the drive but as it was doing this it shut down the computer again. I can now see the drive in Finder and Disk Utility but when I double click on the drive it opens a new finder window and sometimes freezes. The rest of the time it will let me see the front face of the drive but nothing else. When I try to copy data to a different drive it freezes again and sometimes shuts the computer down. Problem is with my iPhone 5c. I forgot my pincode so cannot get into the phone to get my photos & videos from it. I no longer use this phone as I now have another phone but I desperately want my photos & videos from this phone. The phone is in full working order I just can’t get into it. External hard drive not working. Once connected to any laptop it’s not connecting to laptop. Have tried it on 2 laptops and 1 desktop at home. Had a local repairer look at it and he said he can’t fix it. The external hard drive has really important stuff on it, more sentimental stuff and really hope you can help. Hard drive was showing files but then would go blank on and off. I tried to copy folders from one hard drive to another and it worked with one folder. Now my mac is not registering/recognising the hard drive when I plug it in. Its turning on but wont let me log on. I recently had my phone stolen and also had it recovered by the police. I ordered a replacement sim from Tesco however my phone would not work properly for weeks – could not call/text anyone. I finally resorted to taking my phone into Tesco to ask for help. They did a factory reset whilst I was in there and it was only afterwards that I had realised that my dissertation interview recordings were on my phone – in the voice recording app which I did while my IMEI was barred. I have since managed to get the phone unbarred and it now works – however my phone has been constantly restarted during this time. I have tried using both Dr. Fone recovery (did not recognise my phone at all) and Gihosoft (did not find the audio clips nor anything else – just what is on the phone now) with no luck. Do you think there is anyway it can be recovered please? Any chance you can email me a response please rather than a phone call as I have poor signal in my flat. My 3TB Western Digital My Passport Drive received a hard knock and now displays classic clicking sound of the heads failing to read the disk and the actuator assembly arm jumping back to it’s parked position. The drive does not mount up. i was in the process of creating an external boot usb drive for windows 10, The installer spent around 6 hours downloading a version of windows, during that time i attached my 500GB external drive to the laptop to move files and photos etc to the external drive. When windows finished downloading, the installer decided it would use my external hard drive as the boot drive and appears to have formatted it as a 32GB drive and all my files appear to be gone. Is there any chance you would be able to undo this mess that windows made or be able to recover the files? I believe the drive was around half full. External hard drive (seagate brand) not working when I plug into PC (have tried >1 PC). Lights up and ‘whirrs’ but won’t register device. Can you help? Appears HDD drive lost power some how, i cant seem to get data, do you guys have a clean room to rebuild HDD`S at all? Hi, my fiancee and I have not used our Seagate Maxtor BlackArmor external Hard Drive in a while. As a result, we have ended up forgetting the password 🙁 Such a silly thing to do I know, but we are trying to locate a company that may be able to by-pass the user-set password (perhaps with a master password I’ve been reading up about online); in order to allow us to access/ recover our precious data. The most important data on there includes many many years of our photos- starting from the very first day we met. We are finally getting married this year, but we have lost many beautiful memories stuck on this disk. It would mean the world to us if you could recover this data for us. Please e-mail me to let me know if this is possible. Thank you so much. android phone (LG G3) would only reboot to recovery mode. tried all the options on recovery mode. possible want to retrieve data even after factory reset? is it possible to get whatsapp messages without backup after factory reset? When the hard drive is plugged in it makes a wherring sound, a small bleep is heard and then nothing happens. It sounds like it is spinning. It does not show up on the computer. I am having problems recovering the data from a hard drive which belongs to a family member. It’s an old IDE drive. At first I thought it was the MBR which had been damaged, but now I think it could be something physical. I cannot event get it to be recognised in the BIOS. What sort of cost would I be looking at to retrieve the remaining data (I estimate 5gb of pics)? 1. Failed during backup to another 500GB via an Acer Aspre One 532h notebook. Copied across four folders at MB/s then dropped to KB/s then stopped # 2. Not dropped # 3. Spins on start up # 4. Not recognised by BIOS – no drive letter allocated # 5. No error message displayed # 6. Date recovery only attempted using reads. I think it failed due to a loose Mini USB connection with Acer computer. Have tried a new case. Winking blue lights indicate that a connection is being made. But no drive letter is assigned. And no folders or files are visible. In this post I’ve posted some enquiries submitted to our data recovery team – they make interesting reading and highlight the different scenarios we have that cause us data loss. Dropped 1TB external hard drive. Continued to work for a while, then started clicking loudly, and eventually failed (disk not recognised). I have a very old Sony Ericsson T250i that has bricked. We have retrieved the data from the SIm but we cannot retrieve the contacts and messages saved to the phone. What makes it worse is that a lot of the messages relate to the death of our son so have high personal value. Can you help? 1TB hard drive with corrupted NTFS partition. Can you give me an indication of likely cost of recovering data from this partition please. An email reply is requested. WD elements 1tb. Wont power on when power cable inserted, light comes on for a second as you insert it. Tried alternative power cable but no joy. Hard drive believe to be damaged. No software recovery has been able to locate and info. Please contact me with regards to my options. I have a Sandisk Ultra Plus SSD which appears to have failed. The drive had been working perfectly, then shut it down (installed a few updates) and 10 minutes later wouldn’t start again – drive not detected. I’ve tried the drive in another device but there is no sign of life. I’m hoping that the data is still on there and it’s some sort of controller issue preventing the SSD from starting up. The drive is also Bitlocker encrypted. I only require a few files off the drive, so if it’s possible it all depends on the cost – whether it’s worthwhile doing. I have a Samsung s6 phone, and my screen went blank, when I took to a phone repair shop, the owner said the phone screen is fine all that needs doing is to reset the phone which will make all my photos disappear. As it will wipe off all data. Can you get the data off the phone before resetting my phone. In this post I look at some example question from Mac users looking to recover their files from damaged Apple equipment. Then my iPhone experienced water damage and is not turning on. Would like to recover photos from it. Do you have a problem like any of these? Just follow the links above for help or contact me direct. Seagate Barracuda 7200.12 500Gb installed as 2nd hard drive in a Windows PC. Cooling fan in power supply failed leading to increased case temperature and possibly incorrect voltages. Took longer and longer for files to appear in Windows Explorer. Eventually the hard drive stopped working. Bought a replacement PC and tried installing the hard drive. It was found by the BIOS at initial boot but failed to be found by Windows. I have a USB drive that is bent and no longer works. This was achieved by leaving the USB in the computer and the computer falling off the bed, landing on the USB stick. The computer can no longer detect the USB whatsoever. If i sent the USB in to repair, how long would the repair usually take? I really need it repairing by Thursday (20th Oct 2016). I have 2 WD external drives that are both at least 5 years old. They are (I think) 1.5 & 2TB in size. When I connect them to the mac, I can no longer hear them spin up & they do not appear as connected drives. From this I assume they have both failed. Drive has stopped responding and cant be seen by the computer. I have also tried it in a USB enclosure and no joy. I own Seagate 3TB drive from airport extreme router. Disk failed. I opened the drive in clean room and saw that head is bad and need donor or replacement. What’s the price for that service ? Better for me is just to read platters if that’s possible. I have an issues with a failed hard drive that will no longer spin. It’s a Seagate ‘Laptop Thin SSHD‘ 500GB (PN: 1EJ162-038). When plugging the drive in it no longer spins up so we’re unable to retrieve anything off it. Do you think you could help? Any idea of the potential cost? Hello All – received this hard drive recovery enquiry a few hours ago and thought I’d reprint it here. A popping noise is a clear indication that the circuit board on the hard drive has blown. This is usually caused by a power spike from the computer’s power supply or a defective component on the hard drive. To repair the hard drive, it’s not a case of just swapping the controller board with one from an identical drive. Modern hard drive controller boards contain a chip that holds the drive’s “adaptive data” – mapping data that is identical to each drive. Sometimes the popping can damage this chip also. If the data on your hard drive is of no value, the easiest thing to do is to go and buy another hard drive. 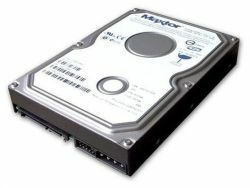 However if the data on your hard drive needs to be retrieved, don’t take it to a friend or a computer shop because they won’t have a clue about how to handle the adaptive data issue. Also don’t try to fix the problem and this is the job for a proper data recovery specialist who know what they are doing. We have used the recovery services of Data Recovery Tips for several months now and can recommend them to retrieve data from hard drives. Lately the Risc team of IT specialists have been busy helping the people of Liverpool with their broken hard drives and requests to retrieve their data. When we haven’t been able to fix the faults in house we’ve used the data recovery services of Datlabs a UK hard drive expert company. I have an external hard disk that is not doing any strange noise but it does not open. I tryed to recover the files using the Get Data Back programme and they were “recover” but not correctly and are not opening. Can you please tell me If you can recover this files and how much would cost? 240gb laptop HDD not spinning up, just clicking. Tried in external enclosure but still the same issue. Hello, my USB hard drive was formatted and wiped of all files some personal and some business. i need to recover image, audio and video files, i have tried software recovery myself however i have repeatedly ran into problems (my girlfriend unplugged it without thinking twice) as it has been a lengthy procedure i was hoping to get professional help rather than hope to be third time lucky. would this be a problem you could help with? Seagate 3 Tb external HDD. Connected Seagate to incorrect power supply. Will not connect to PC, no light or noise from the drive. No burning or smell evident. Control Board looks ok (no burnt bits). 32gb SSD suddenly shows up as no media. Need to know the price for recovery. The Risc team recovered 5 of these jobs and used the services of Datlabs to access the hard drives of the jobs we couldn’t. All in all, a good performance, with all the data from all enquiries retrieved. 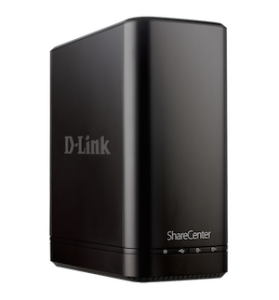 D-Link (or D’Link) make a few different types of NAS (Network Attached Storage) devices, including the ShareCentre and ShareCentre Pro. Most popular in the D-Link ShareCentre range are the 2 and 4 bay NAS systems – the 2 bay systems use RAID 0 and RAID 1 data storage configurations, whilst the 4 bay D-Link NAS drives will often use RAID 5. The larger D-Link ShareCentre Pro systems are rack servers typically all running RAID 5, aimed at businesses. All D-Link servers are prone to the usual hard disk faults that require a data recovery service to retrieve the data. Manchester’s Data Clinic is the best company we’ve found for D-link data recovery (their main NAS recovery page is here). D-Link NAS hard drives are modern devices can house many Terabytes of data, which is great while they are working normally. Unfortunately, as you may know there are many ways data can be lost from a NAS device, all storage devices are very temperamental, requiring particular care and attention when faulty. Clicking / beeping / buzzing hard drives inside the NAS, that can no longer be accessed. The NAS starts to run very slowly – file access takes a long time. Connecting to the NAS is no longer possible. With a D-Link NAS hard drives it’s imperative to have them repaired correctly when they go wrong. Placing a D-Link NAS in the hands of an unskilled person who ‘knows about IT stuff’ is to be avoided as D-Link NAS repair and data recovery is a highly skilled task. This means avoiding high street PC shops and colleagues who do not have sufficient knowledge or skills of the inner workings of D-Link NAS hard disk equipment. 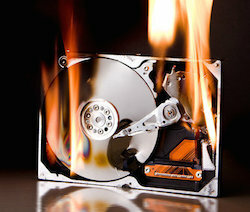 Doing the wrong thing will often lead to irreversible data loss. For the 2 bay range (DNS-325 Model), it’s possible to store up to 2 TB data. This device includes a USB port and a single gigabit Ethernet connector. You can also implement a RAID 0, RAID 1, Basic RAID or JBOD. The Pro 5-Bay version is a file sharing beast with 5 full 3.5” available hard drive bays and 2 gigabit Ethernet ports, this device offers great read and write speeds. The DNS-345 (4 bays) supports a lot of RAID configurations, including RAID 0, 1, 5, 10 and RAID 5 with a hot spares. These devices have their own backup utilities, but they aren’t always the best. We have worked with many of the available devices from D-Link and with good experience and knowledge of them, we are able to offer a very good chance of getting your data back (depending on the fault and its severity). There are also servers that we are confident at working on, including the 12 and 15 bay RackMount servers and iSCSI SANs. In this post we look at restoring the information from a Samsung hard drive and locating a spare hard drive for a broken Seagate HDD that needs spare parts in order to repair the drive and rescue the data from it. A 2Tb Samsung portable drive is spinning up (LED light is turning on) but is no longer being recognised by any computer. The drive did not suffer any obvious direct damage. I have attempted using a different USB cable and re-seating the drive with no success. Most of the data on the drive has been backed up, but some (e.g. original RAW files) is unique to this drive. I am located in Reading and wonder if you could point me in the direction of a data recovery company? Samsung hard drive’s a very common and there are a lot of spare parts and fixes available for people who need to recover the data from them. In Reading you’ll find Datlabs – they are based in Forbury Square – see their web page here: http://www.datlabsdatarecovery.co.uk/data-recovery-reading. Give them a call on 0871 977 2999 and ask them to help you. A large part of data recovery is the sourcing and using of ‘donor’ hard drives, the parts from which are used to replace parts in other drives that have become faulty. Specialist companies that sell hard drive donors are Data Clinic and Donordrives. Just Google them if you want more information. I am looking for a Seagate Desktop HDD 4000GB to use as a donor drive. The ST number on my drive is ST4000DM001 and the date is: 15304. The PN is: 1FK17N-568 and the SN is W4J0DE01. It is an external hard drive with damaged heads. Any type of head problem on a drive will require the data recovery company to use and clean room when performing the head change. Work like this is very involved and should only be attempted by skilled data recovery people.